Twenty one (21) members of the Dollar School Cricket Academy accompanied by three (3) coaching staff, are now back in England having completed a successful 5-day training camp between Thursday 7th – Tuesday 12th February at Desert Springs Resort, Europe’s only international award-winning luxury family resort and championship desert golf course with its very own dedicated Cricket Ground and Academy, in the Almanzora region of Almeria, Andalucía in south-east Spain. The focus of the training camp was to provide an opportunity for the players to both work seriously on their batting, bowling & fielding skills as well as their fitness levels, to ensure that the players are in the best possible shape leading up to the commencement of the 2019 season. 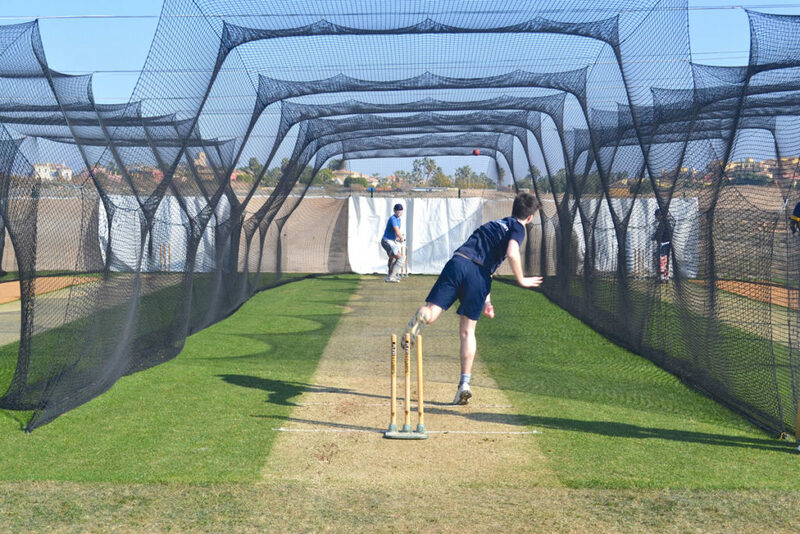 Grass net practice, both bowling and batting took place at the Cricket Academy. Out-field practice, strength and conditioning work, running, speed and agility work was completed at the Cricket Ground. The culmination of the camp ended in a competitive T20 Match at the Desert Springs Cricket Ground. 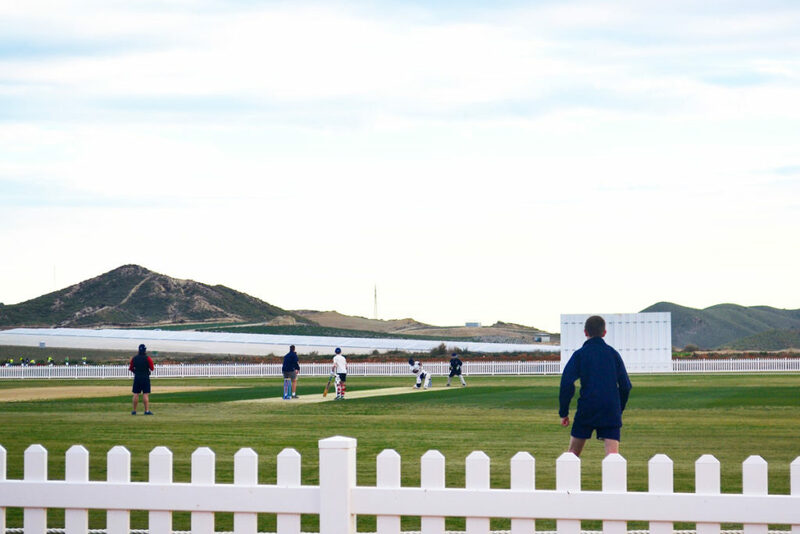 “The cricket facilities were A1, the staff are extremely good, great resort!” Zaki Ausat aged 18. “The staff were extremely welcoming and accommodating. The whole experience was helped by fantastic facilities.” Toby Douglas aged 17. “The staff were great and the facilities are world class.” Alex Mair aged 16. “Great food and accommodation and I really liked the facilities.” Archie Jaffrey-Smith aged 13. The players and coaches were accommodated in some of the privately-owned apartments and townhouses reserved for holidays and short breaks at Desert Springs and the resort’s executive chef was on hand to cater for the special dietary requirements of individual players dining in the Crocodile Club Restaurant. 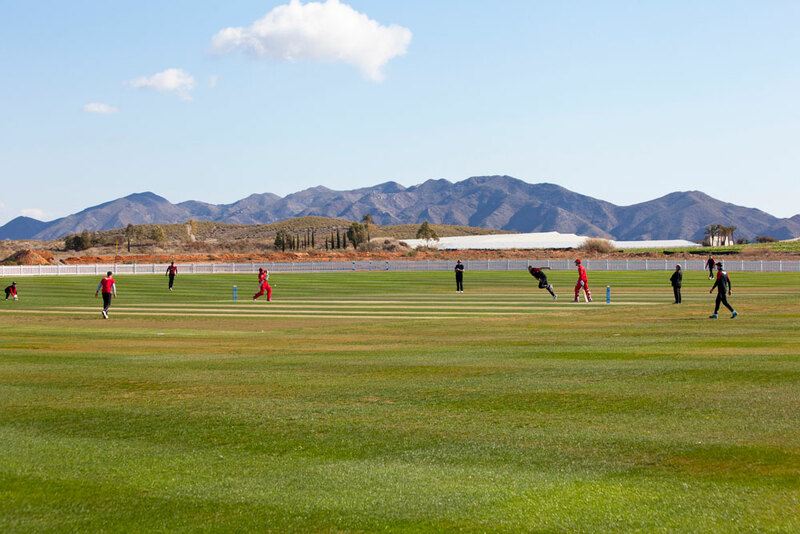 Between Thursday 7th – Tuesday 12th February, Dollar School Cricket Academy will be following in the auspicious footsteps of Lancashire County Cricket Club by stepping up their preparations for the 2019 cricket season by attending a five (5) day pre-season training camp at the Desert Springs Cricket Ground & Academy. Founded in 1818, Dollar Academy is one of Scotland’s leading independent co-educational day and boarding schools for boys and girls aged 5 to 18. The open campus occupies a 70-acre site in the centre of the town of Dollar in Central Scotland. Cricket is one of the principal sports at Dollar Academy, offering coaching and the opportunity for regular competitive play to all pupils from Junior 1 to Form VI. The school has outstanding facilities and first-class coaching for both groups and individuals, which includes frequent visits from internationalists. The team training camp will comprise Twenty (20) players all of whom will be spending their time completing numerous training sessions each day, accompanied by Four (4) coaching staff. Grass net practice, both bowling and batting will take place at the Cricket Academy. Strength and conditioning work, running, speed and agility work will be completed at the Cricket Ground and Gym at the Sierras Sports Club with the culmination of the camp ending in a competitive T20 Match at the Desert Springs Cricket Ground.